You are here: Home > News > Belfast’s Next 15 Years? UAHS Responds to Proposed Plans. 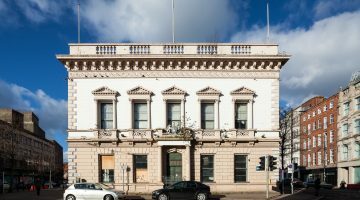 UAHS responds to the Belfast City Council Preferred Options Paper, for the 2020-35 Local Development Plan, on a basis of the Society’s core principals of the conservation, re-use and heritage-led regeneration of Northern Ireland’s national built heritage asset. Our principals recognise how the intrinsic value of the asset contributes to prosperity, tourist income generation, culture and pride of place, and a general sense of wellbeing related to living within, and interacting with, urban and rural built environment. Particularly the historic built environment. Development plans should, in as much as this is ever possible, anticipate infrastructure and economic supply and demand needs, with periodic review enabling adaptation to suit unforeseeable change. However, there are always defining constants, as detailed above, which remain through the lifetime of plans and beyond. These constants should be the foundations that decision makers carry through to lead policy from one plan period to the next, delivering rolling improvement in the living and visiting experience of the area and reaping the resulting economic benefits. Unfortunately, in complete contrast to the philosophy of carefully considered planning, the photograph on page 4 of the Preferred Options Paper, is indicative of the ‘any development is good’ policies of the past. This image shows the surviving elements of the historic individuality and ‘liveability’ of this area of Belfast completely overwhelmed by bland and inappropriately scaled blocks. The standard ‘trick’ of photographing at night adds an impression of ‘sparkle’ to an image of Belfast that is in the main, dull and devoid of the individuality which is key to the attraction of destination cities. Regrettably, it seems that those same developer landbanks which have delivered years of derelict sites, ad hoc car parks and degradation of the City’s built heritage, image and liveability, having changed hands through property boom and bust, are still, and yet again, a driving influence in planning. The preferred options paper is demonstrative of this. 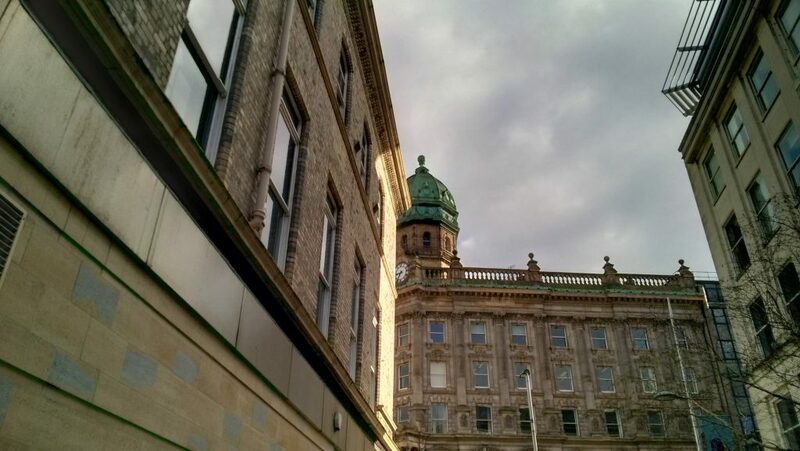 As outlined in the Belfast City Centre Regeneration & Investment Strategy, Belfast City Centre has a proliferation of ‘underdeveloped’ sites including surface carparks, many of which regrettably replace the heritage buildings Belfast has already lost. Appropriate, in-scale regeneration of vacant sites should be prioritised within the local development plan. The role of the plan should be to allocate what is appropriate and sustainable people led development, rather than to simply accept in principle what will maximise developer profit on land which, it must always be remembered, will have been acquired at speculative risk. No local development plan, planning approach or policy should be a guarantor for, or a hostage to, speculative risk. Unfortunately this is a Preferred Options Paper, proposing a Local Development Plan for Belfast which appears already 10 years out of date, with a vision seriously lacking in imagination, beyond the prioritisation of grandiose major property development schemes and economic prosperity that is in fact for the benefit for a select few rather than people and communities. There is little evidence of empathy for and appreciation of, Belfast’s unique selling points, of individuality, culture, heritage value. Most of all it demonstrates little appreciation of the value of these unique selling points to Belfast’s people. This plan proposes a framework that will be set to fail our important heritage assets, and their potential value for the next 15 years. The historic built environment does not simply represent Belfast’s important past, it is the foundation for its future. 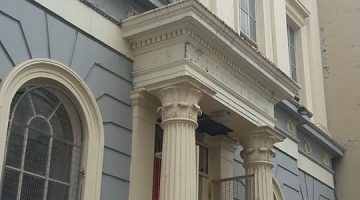 Without proper management of heritage through the Local Development Plan, more of Belfast’s irreplaceable heritage value will be lost. It is fundamental that Belfast City Council better recognises the economic and community value of built heritage in the final local development plan. Read the UAHS response in full here. Read more about the Belfast City Council and Preferred Options Paper and Local Development Plan here.